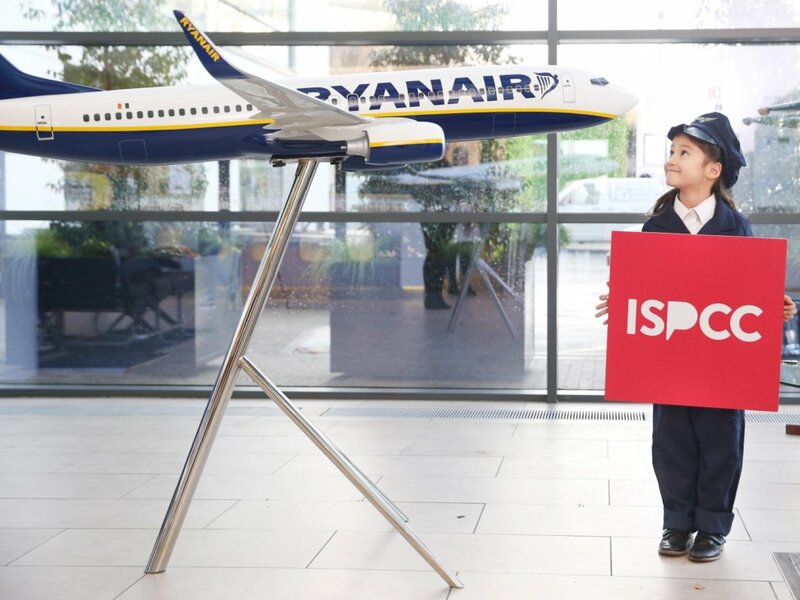 Ryanair, Ireland’s No 1 airline, today (28 Nov) launched a ‘Name a Plane & Fly to Spain’ competition and fundraiser in aid of ISPCC Childline, its 2018 charity partner. Entrants will be in with a chance to have a Ryanair Boeing 737-800 aircraft named after them, and jet off on a family holiday to sunny Spain. To enter, simply text ‘Ryanair’ to 50300 to donate €4 to ISPCC Childline and you will be included in the draw set to take place just in time for Christmas. Entries will be accepted up until 10am on Friday, December 14th. As Ireland’s national listening service for children and young people, ISPCC Childline listens to, supports and empowers children and young people who seek a listening ear at any time of the day or night. “We are proud to partner with ISPCC Childline and support their invaluable work and the lifeline service the organisation provides. Our ‘Name the Plane & Fly to Spain’ competition offers a unique prize up of a family holiday to Spain and the chance to have one of our planes named after you, while offering the perfect opportunity for families across Ireland to show their support for ISPCC Childline in the run-up to Christmas this year. “ISPCC Childline relies on corporate and public donations for over 90 per cent of its funding, to ensure the service is always there for every child and young person in Ireland. Unfortunately, not every house in the country fills with Christmas cheer and excitement. Some children feel anxious, upset, lonely, or afraid. Thankfully, many contact Childline to share their worries and fears. Childline answers over 1,000 contacts every year on Christmas Day from children and young people across Ireland who seek a listening ear. With Ryanair’s support, Childline is there to support them and to give them hope. To be in with a chance to win your name on the plane that flies you and your family on holiday to Spain – and help support Ireland’s national listening service for children and young people – text Ryanair to 50300 to donate €4 to ISPCC Childline. Texts cost €4. ISPCC Childline will receive a minimum of €3.60. Service provider LikeCharity. Helpline 076 680 5728. One text = one entry. Competition closes on Friday 14th December at 10am. Entrants must be 18+. Full terms and conditions at ispcc.ie/competition.